The September 13 meeting has been postponed due to inclement weather. Check back for a new date and time. 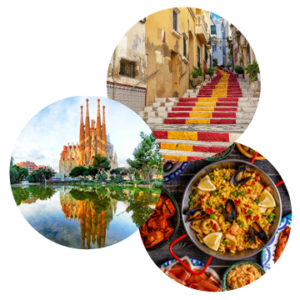 Come learn more about your chance to explore Spain! Join us for one of two informational meetings on September 6 at 12:30 PM or September 13 at 4 PM. Both meetings will be held in E-102 on the Wilson Community College campus. This is an opportunity to learn more about the tour itinerary, the sign up process and the payment schedule. Also learn more about the tour destinations Barcelona, Madrid & Andalucia.